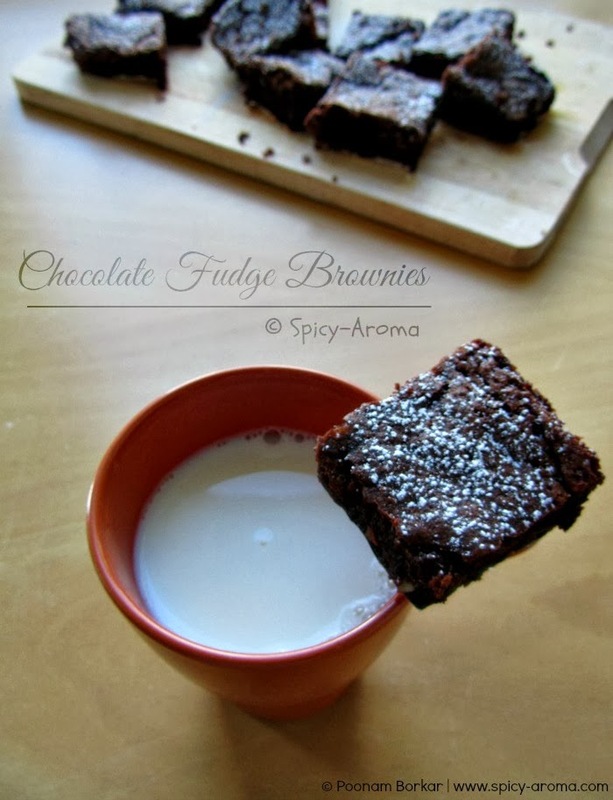 How to make chocolate fudge brownies? Preheat the oven to 180 degrees C and line a baking pan with aluminium foil. Also grease the foil on bottom of pan with little bit of butter or oil so that brownies don’t stick to the bottom after baking. 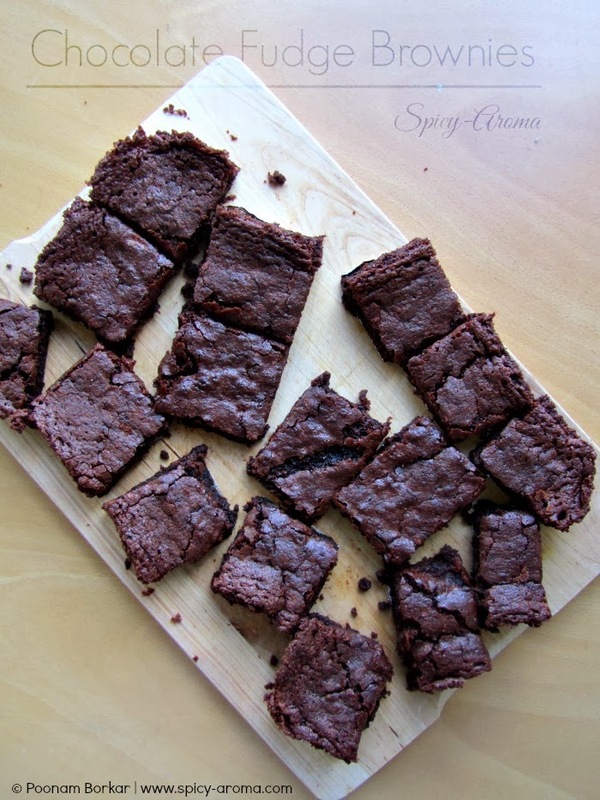 I have used 8" x 12"sheet Cake Pan. Take out the butter into a large bowl and microwave it for few seconds on high until it melts down. In the melted butter, add granulated sugar, unsweetened cocoa powder and mix it really well. Whisk until mixture turns smooth and shiny. Then add vanilla essence and 1 egg at a time and keep mixing. Now sift dry ingredients i.e. flour, baking powder and salt into the batter and fold in with spatula. Add chopped nuts if you like. Now pour the batter into the prepared baking pan. Put it in the oven and bake for 25-30 minutes. Insert a knife or toothpick in the center, it will get some crumbs on it and that is fine. Do not bake for long time. 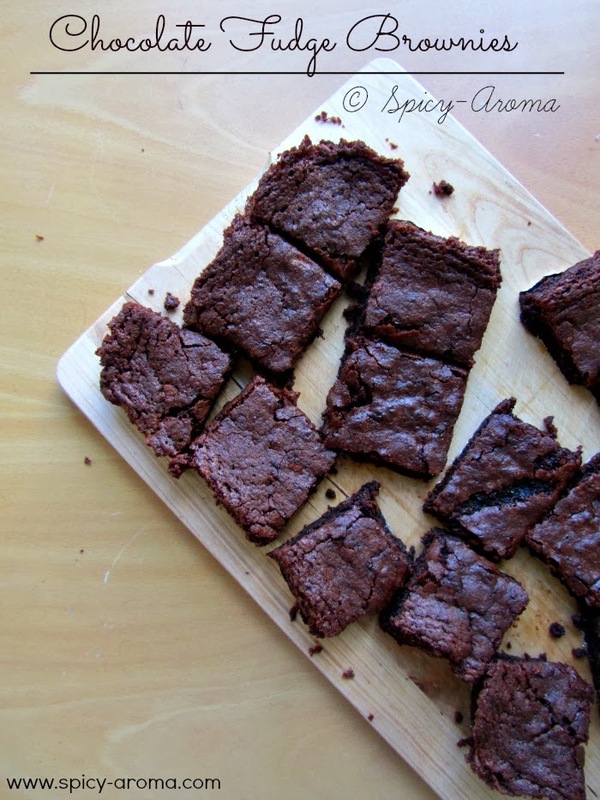 Peel the aluminium foil and cut the brownies into squares. You can store them in a refrigerator. Serve them with milk or ice cream. Enjoy! 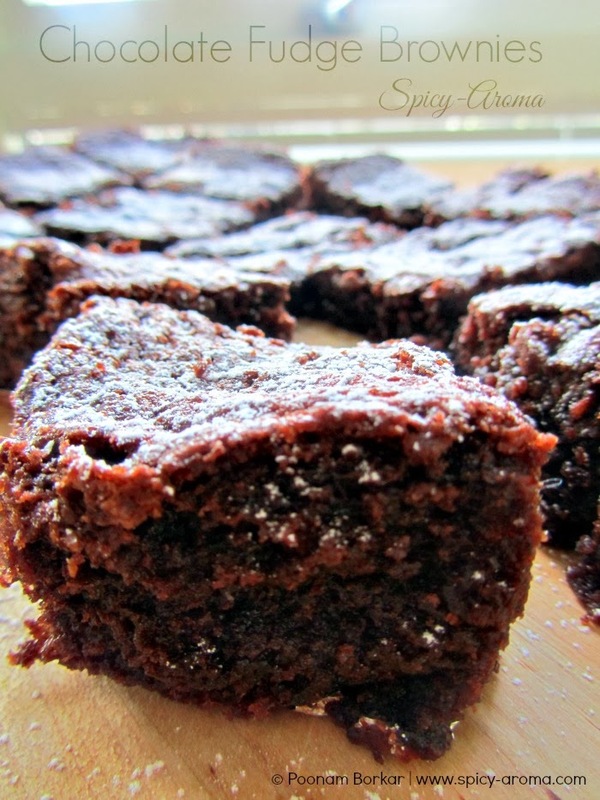 Simply mouthwatering and delicious looking brownies. Excellent preparation.